Oops, I did it again. I've gone and added yet another pair of boots to the collection (well, truth be told 2 pairs but more on that in an upcoming post). There is a perfectly reasonable explanation behind my recent addition and that is the TV hit show, Friends. Despite being a little longer than 14 years since Friends aired its last episode, this show never gets old. I kid you not, but I must have rewatched the entire thing a good number of times by now, and a couple of weeks back I started it again on good ol' Netflix. Yup, I am a massive Friends fan, I know lines by heart and I love everything about it. Some say the show is somewhat dated, but you will agree with me that the fashion isn't and Rachel Green's wardrobe, especially in season 6 onwards, is still on the money. I recently saw the episode The One With Joey's Porche in which Ross and Rachel try to get an annulment and Rachel is wearing THE most fabulous pair of high boots as they march down to their lawyer's office. The boots (see them here) were glossy, knee-high and with a heel sturdy enough to spend a day stomping around in; she obviously looked fabulous, the boots were absolutely dreamy and were exactly what I wanted in my wardrobe for this winter. So when fashionworld.co.uk got in touch about a collaboration and I saw their boots stock I knew it was the perfect opportunity to get me a pair, so I did! The change of season is well and truly upon us and what I've been loving to wear the most lately are all of my autumn coats. The transition into the new season is the perfect time for that trench style, to add some leather or to opt for heritage-inspired prints. Whilst I love all three trends and have already included them in my coat selection, my favourite has to be the last. Think of all the tartan and check patterns in all sorts of beautiful colours combination; yep that's I've been wearing non-stop. The heritage trend, among a few others, is quite possibly one of the biggest for this season (perhaps it only loses to animal print?). 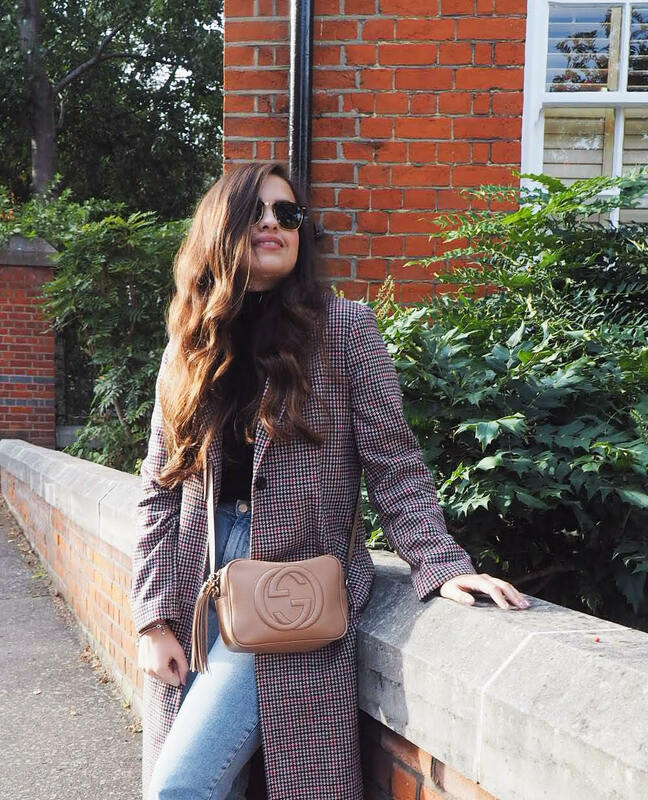 It goes with what autumn is all about, and despite big fashion names like Balenciaga, Calvin Klein and Fendi being responsible for its latest modern update, I love how the high street has quickly caught on making adding one to our wardrobes a whole lot more affordable. Whether heritage coats come fitted or left to fly loose, this is the coat to bet on this season. Keep on reading to see how I styled mine!